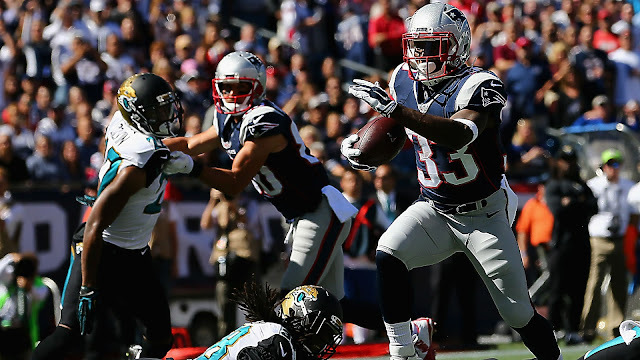 The Patriots are keeping Dion Lewis around for the next couple of years, as the team has signed the shifty running back to a 2-year extension. Lewis' deal: $600k signing bonus, base salaries of $800k in '16, $1.2M in '17. Can earn up to $1.8M in incentives from 2016-2017. Lewis has proved to be a huge find for the Patriots, as he has quickly become a very quick, in-between-the-tackles runner who can also catch passes. He has started the first three games of the season for New England, and in all likelihood that'll continue if he produces the way he has. He has 146 rushing yards and two rushing touchdowns on the young season, as well as 179 yards through the air on 15 targets.